I didn’t think I was going to be making an apperance this week as I laid down a massive bottle share last night with nothing but rare barrel aged beers, but I powered through and felt great this morning. 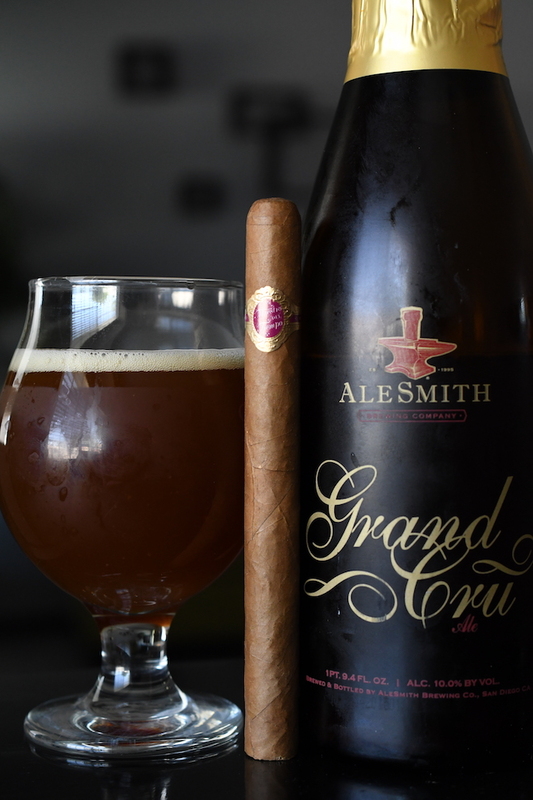 This week I take a look at the Warped Cigars Maestro del Tiempo paired with a bottle of Alesmith’s Grand Cru. Warped cigars hit the cigar world by storm a few years with some fantastic, unique blends offering a new voice in the cigar industry. Ran by Kyle Gellis, the company released the Maestro del Tiempo blend last year and it’s been the talk of the town ever since. 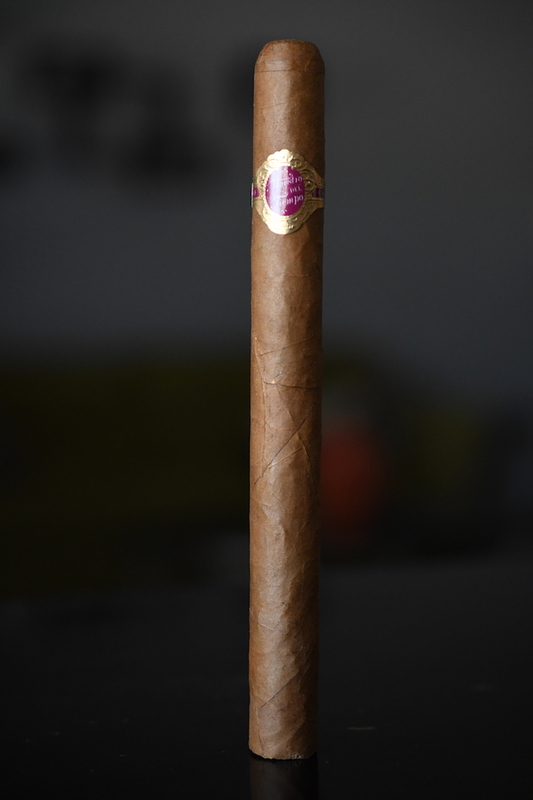 Created at the famous TABSA factory owned by Casa Fernandez in Nicaragua the Maestro del Tiempo features a Nicaraguan Jalapa Corojo 99 Clara wrapper over a Nicaraguan Criollo 98 and Corojo 99 binder holding in pure Nicaraguan fillers all of which are grown at the Casa Fernandez Aganorsa farms. The Maestro del Tiempo is offered in 3 sizes: 5205 (6 3/8 x 42), 5712 (4 1/2 x 52), 6102R (5 1/4 x 48). All of which are full production outside of the 6102R which also features a slightly different blend. The 5205 and 5712 come packaged in boxes of 25 running between $8.99 and $9.65 a stick. I purchased mine over from out good friends at Ford on Fifth. The Warped Maestro del Tiempo starts out with a really rustic, beaten looking wrapper. 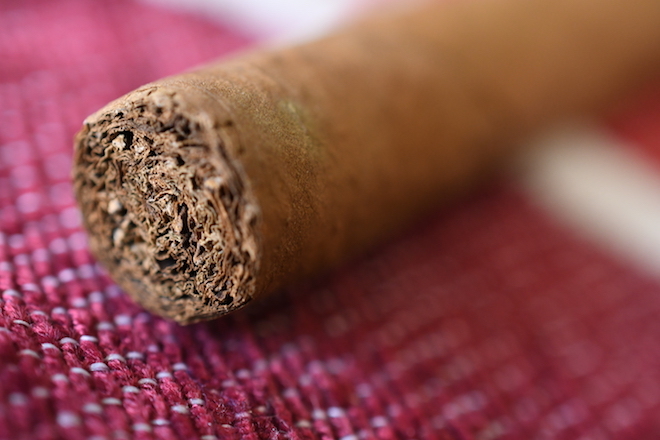 It’s not beaten in terms of mishandling, the natural tobacco chosen for the wrapper leaf has a very unique texture. 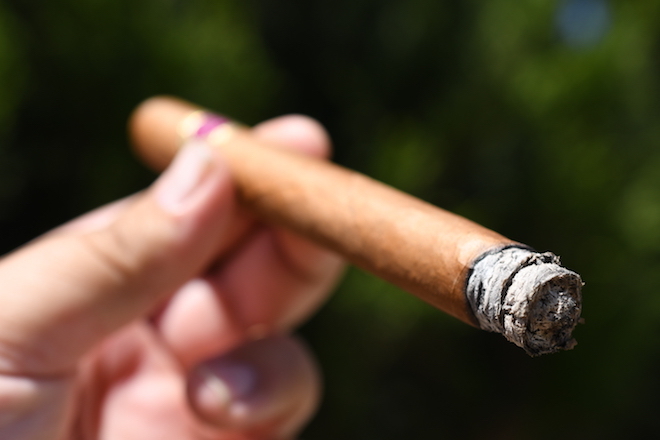 It’s very soft and sleek in some areas, very toothy in others while it carries a very bumpy mixture of small veins and natural webbing scattered throughout the cigar’s body. The color is a light brown, which is pretty consistent outside of the webbing areas. 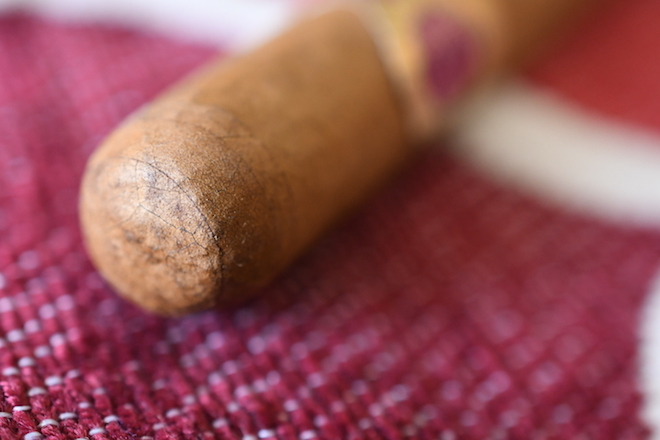 The wrapper feels very thin and delicate while the cigar as a whole is firm with no soft spots throughout the cigar’s slender body leading up to the round, triple cap. 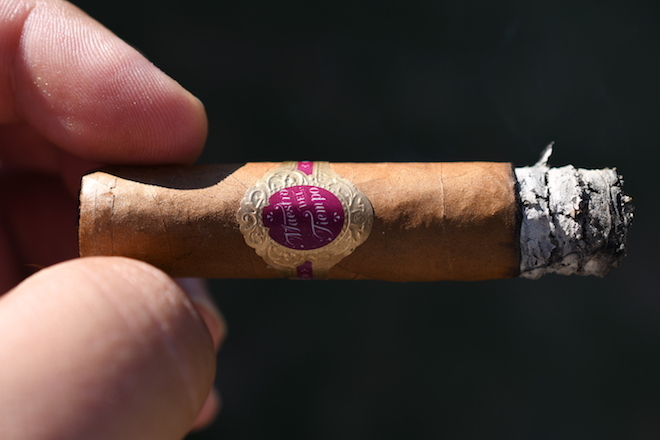 The cigar is polished off with a very small, elegant purple and gold band with the words “Maestro del Tiempo” printed in white ink across the front. 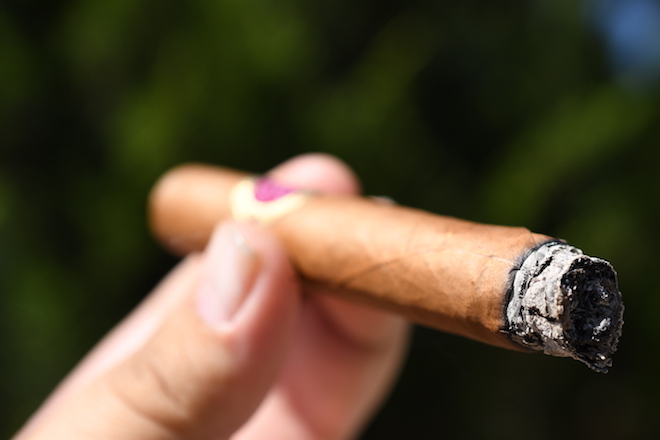 The wrapper on the Maestro del Tiempo gives off a very bold mixture of cedar, honey, and cashew while the foot of the cigar is more subtle with some great spice and pepper notes over natural tobacco. The cap cut clean and easily using my Xikar double bladed cutter. The cold draw gives off a good mixture of strong honey, brown sugar, spice, and cedar. 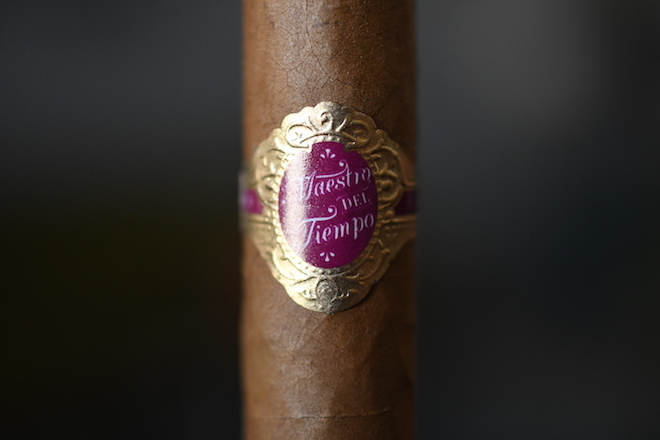 The Warped Maestro del Tiempo starts out with an unexpected bold black pepper bang which quickly faded allowing the cigar to release some very sweet honey, cedar, spice, and citrus flavors. It’s a very interesting flavor profile. The draw is spectacular as each small puff kicks out a great deal of white smoke while the cigar releases a mild amount of stationary smoke as it rests in my ashtray. The burn line is razor thin and dead even leaving behind a very light trail of white and light gray ash which actually fell off into my shoe about a quarter of in inch in. So beware, the cigar will ash when you least expect it to. Into the second third of the Maestro del Tiempo and the flavors have held up leading sweet honey, cedar, spice, citrus and a really nice floral undertone. The cigar has started to build up a bit of sap on the cap so I clipped a bit off and will need to slow down my smoking pace to ensure that it doesn’t build up again. The retrohale is beautiful, coating my nasal passage with a ton of sweetness, honey, and cedar. I close out the second third with absolutely nothing in terms of nicotine. Into the final third of the Maestro del Tiempo and the cigar has really started to pick I’m steam in the strength department reaching in the the medium/full arena. The flavors still lead with cedar, spice, sweetness and honey backed by floral and a nice resurrection of the pepper we saw at the beginning, only its much more mild this time around. It took me almost two hours to take this cigar down to the nub and I never once had to reach for my lighter to touch up, or relight the cigar. Despite the sap I encountered mid-way through, I never found this cigar to be much of a nuisance. Simply slowing down my pace remedied the sap situation and I encountered no harshness nor extended head down into the final inch. I close out the cigar with only a very mild nicotine kick. I’ve been a fan of Warped cigars. Although I haven’t had a lot of the cigars from their portfolio, every one I’ve had has been lights out, and the Maestro del Tiempo is no exception. First, let it be known that I am a huge fan of the company sticking to more traditional Cuban formats. I really love smaller ring gauged cigars so this works right into my preference. 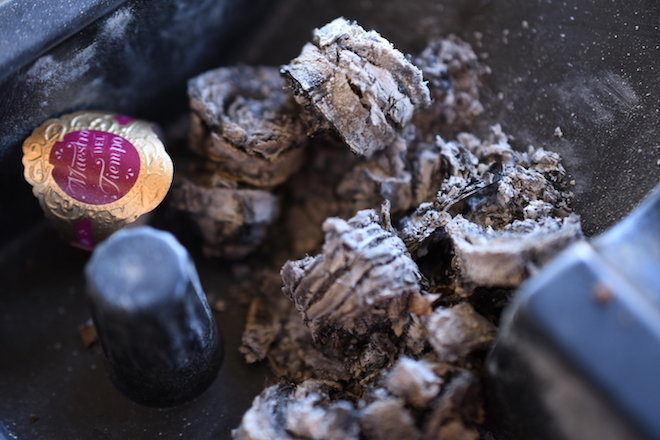 The flavors an nuances in the Maestro del Tiempo also carried much of what I personally look for in a cigar. Bold flavors, good amount of sweetness, and great complexity. The construction was top notch which made for a flawless experience. This is a cigar I could see myself going back to quite often. Considering the decent price point and wide availability I think this cigar could easily find it’s way in my everyday rotation. Coming out of San Diego, California is Alesmiths, Grand Cru. This particular bottle is from 2015. The Grand Cru is a Belgian-style brown ale that comes in at a whopping 10% ABV. The Grand Cru starts with a very robust mixture of Carmel and fruit over some light hops, sweetness, citrus, clove, and a bit of oak with a very light mouthfeel before finishing very crisp with plum, raisin, spice, clove, and a splash over oak. This was a perfect mixture not only for the Warped Maestro Del Tiempo but also for the fantastic summer weather.